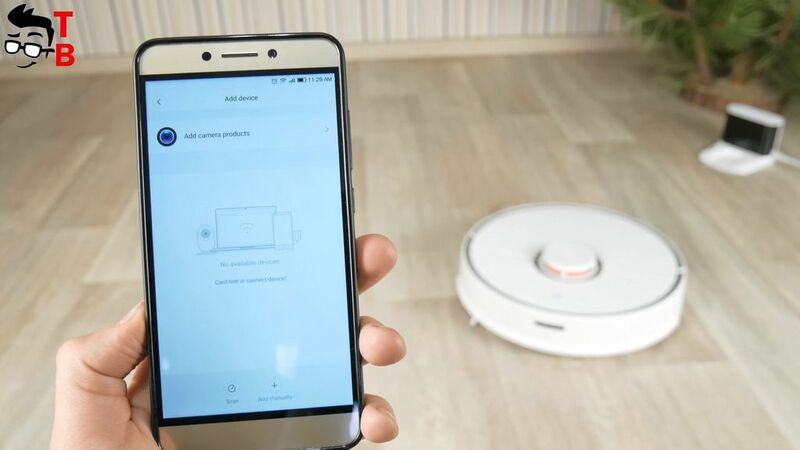 At the end of September 2017, Xiaomi introduced Roborock S50. 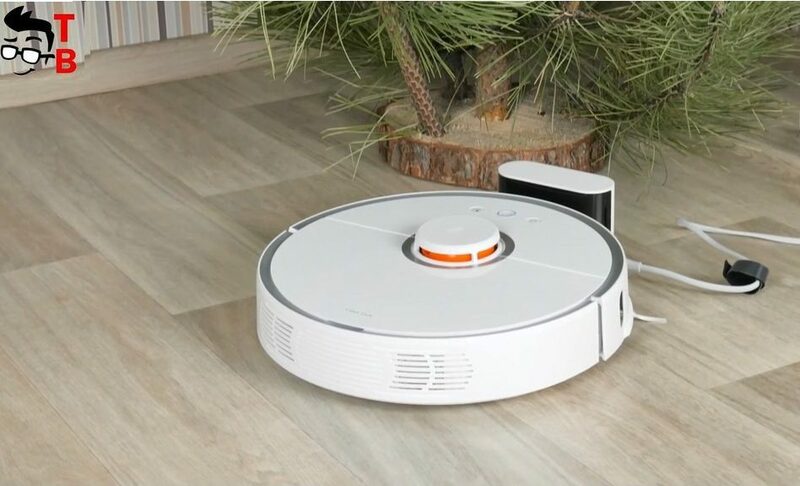 It is the next generation of Mi Robot Vacuum Cleaner. To be honest, I don’t know why Chinese manufacturer decided to change the name, however today we have unboxing and full review of new gadget. 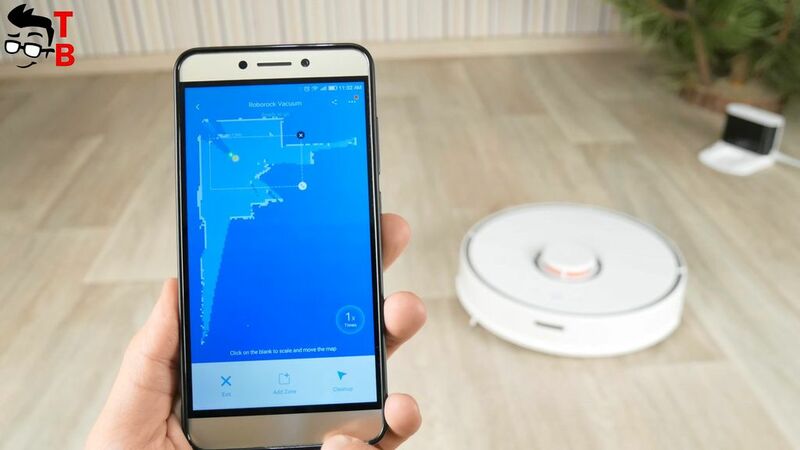 Many people think that Roborock S50 is the successor of Xiaomi Mi Robot Vacuum first generation, but this is not really true. 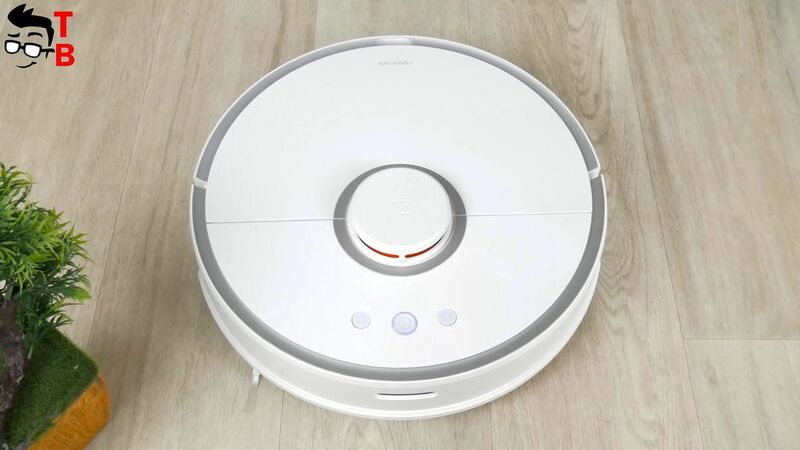 Roborock S50 is not sold under the label of Xiaomi. But it doesn’t matter, because the manufacturer is the same for both vacuum cleaners. Also both gadgets use MI Home application. So, let’s start our review with unboxing. 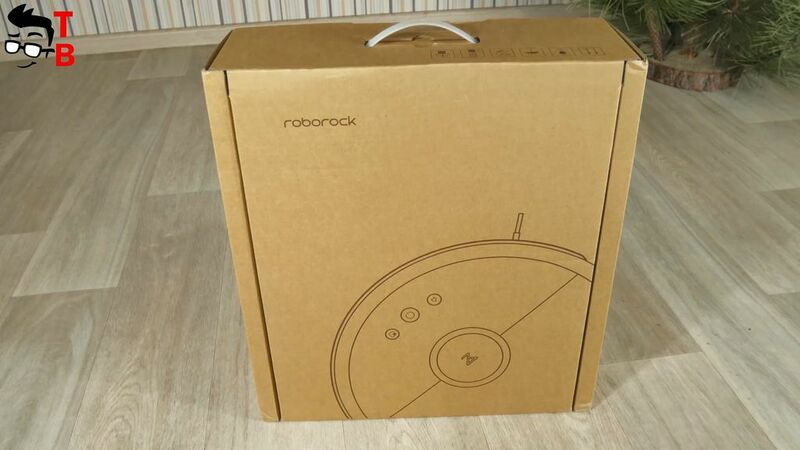 Roborock S50 vacuum cleaner comes in a large box with product image and Roborock logo on the front panel. 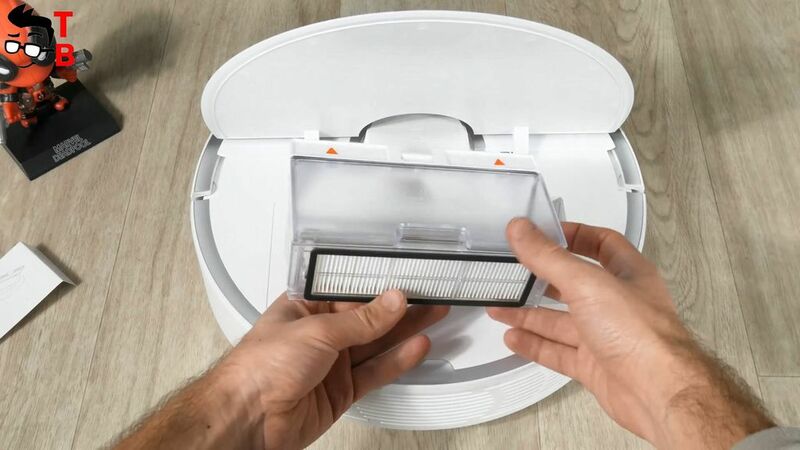 Compared to the first generation, new device has more useful things inside the box, such as replacement filter, four spare capsules and two mopping pads. As you can see, the second generation of vacuum cleaner offers more useful items, compared to first generation. I should note that the main feature of the new device is wet cleaning. The first generation doesn’t have this function. Like the previous generation, Roborock S50 robotic vacuum cleaner has high built quality. These are one of the best looking and premium feeling vacuum cleaners that I have ever used. Compared to Mi Robot (3.8 kg), new gadget is a little lighter with 3.5 kilograms, but the dimensions have become a little bigger. The height of 9.65 cm is enough to get under the low furniture. The shape and size are almost the same, but buttons on the front panel have changed. Here we can see a button with plug icon. By pressing it, the vacuum cleaner returns to the charging station. The middle button turns on or pause the gadget. The right button allows to change cleaning mode. If you press at Roborock logo on the front panel, you will get access to container. It can be easily removed from the vacuum cleaner. The container has a volume of 480ml. It has become a little bigger, and easily enough to absorb dirt up to 60-100m². 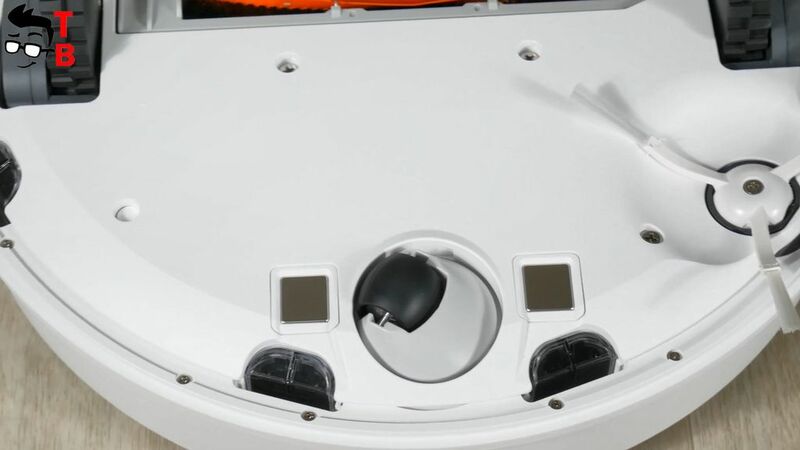 The bottom side of Roborock S50 robotic vacuum cleaner has charging contacts and mopping pad. The large wheels are removable and can overcome obstacles or elevations, such as carpets or door sills, with a maximum height of 19mm depending on the structure and material. Also there is only one rotating brush. I already said that some other vacuum cleaners have two brushes, but Xiaomi think that one brush will be enough. You should note, that replacements parts and accessories from the first generation are suitable for the new vacuum cleaner. I think it is great! 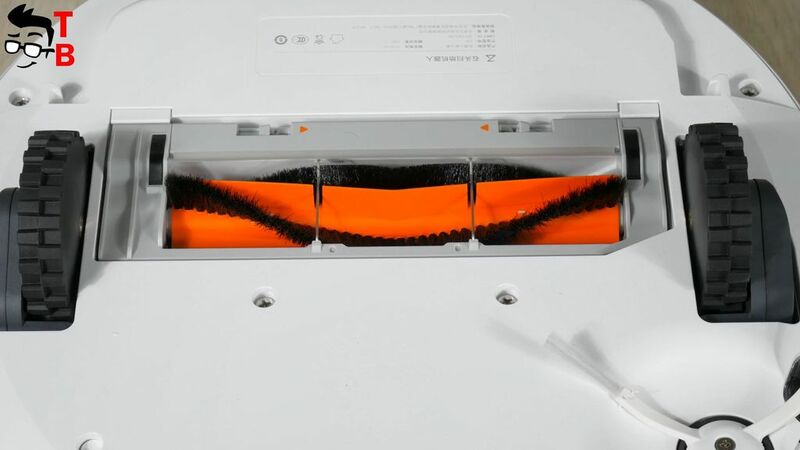 One of the main feature of Roborock S50 is wet cleaning, mopping or wiping, whatever you want. The vacuum cleaner comes with two microfiber moping pads. 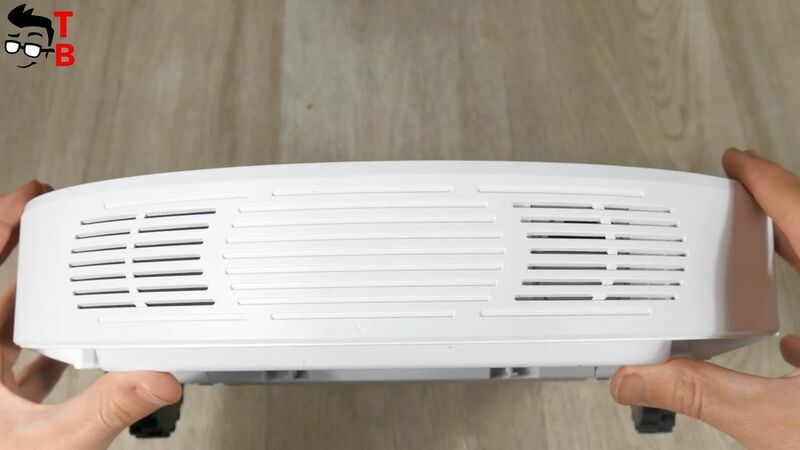 First, you need to connect mopping pad to container, and then simply pushed under the vacuum cleaner. On both sides there is a push button to release the container. You can see tutorial on a sticker under the container. In general, the mopping is OK. You can use this function for everyday cleaning. However, if you have really dried mud, then you may need to clean over this area for several times. Fortunately, the application on smartphone offers cleaning zones. Later we will talk about this. 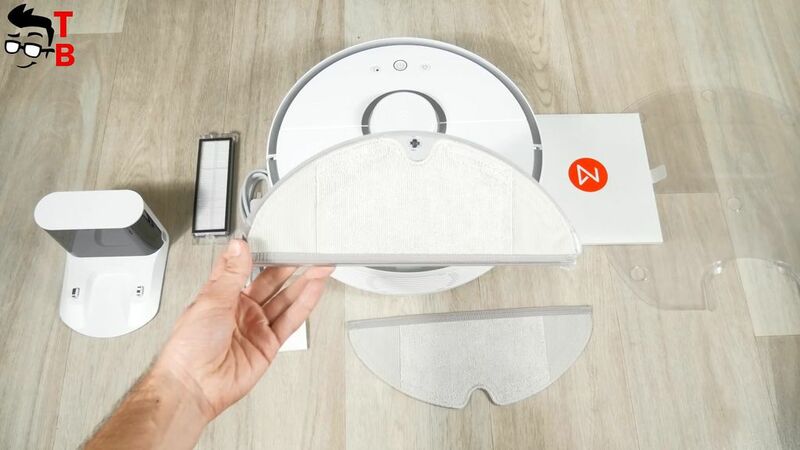 I really believe that wet cleaning function is very important for robotic vacuum cleaner, and it was a big shame that the first generation did not have this function. So, after the mopping of 60M² ground floor with living room, dining room, kitchen and hallway, the result is very good. Also I should say that for 25 M² of parket floor just over 50% of water was used. So, you can count for yourself how much water is needed to add into the container for cleaning your room. Now let’s talk about dry cleaning. First of all, I want to say that Roborock S50 received some improved sensors. New vacuum cleaner has an infrared sensor on the front instead of laser sensor. You may think that laser sensor provides better results than IR sensor. I don’t know is this true or not, but during my test I don’t notice any problems. The scanning and navigation through the rooms is as accurate as previous generation. Also, Roborock S50 has even more sensors, like laser sensor of the small tower on the top. It scans the entire visible space in a short time and captures it on a map. Obstacles and distances are recognized properly. The other sensors are the same except for some minor improvements. For example, the staircase sensor now recognizes black surfaces, and see differences between carpet and smooth floor. It is really important, because new device offers special Carpet Mode, and vacuum cleaner can use it automatically. All sensors work together with a total of three processors, which can record the movements in real time in order to calculate the best possible cleaning path (mapping). The method is called SLAM (Simultaneous Localization and Mapping Algorithm). Also, Roborock S50 has an increased suction power. Now it is 2000 Pascal. It helps to collect dirt, such as animal hair, crumbs and dust. Especially smooth floors such as tiles, parquet, and laminate the vacuum cleaner cleans without any problems. 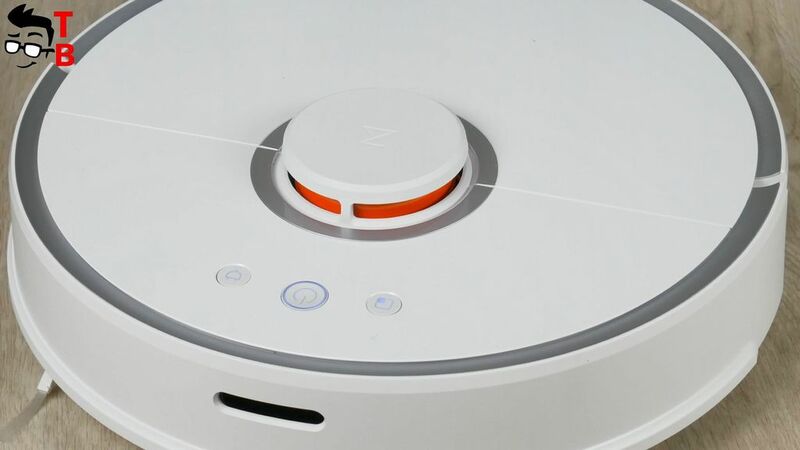 I should say that Roborock S50 has cleaned the same area a little faster than Xiaomi Mi Robot Vacuum cleaner first generation. There are also changes in charging station, because it became much smaller and the charging contacts are located at the bottom. Also new device has the base plate to which the charging station is fixed. 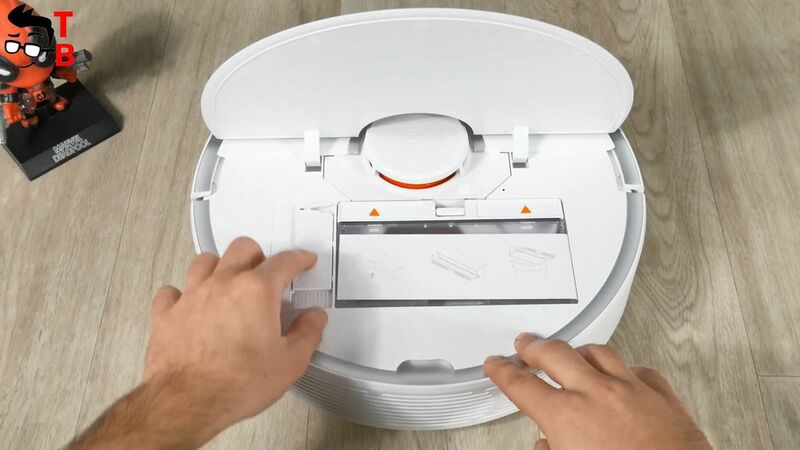 As I already said, Roborock S50 vacuum cleaner uses infrared blaster to find dock station. Also new device is equipped with big 5200mAh battery. This should be enough for 2 and a half hours of cleaning. 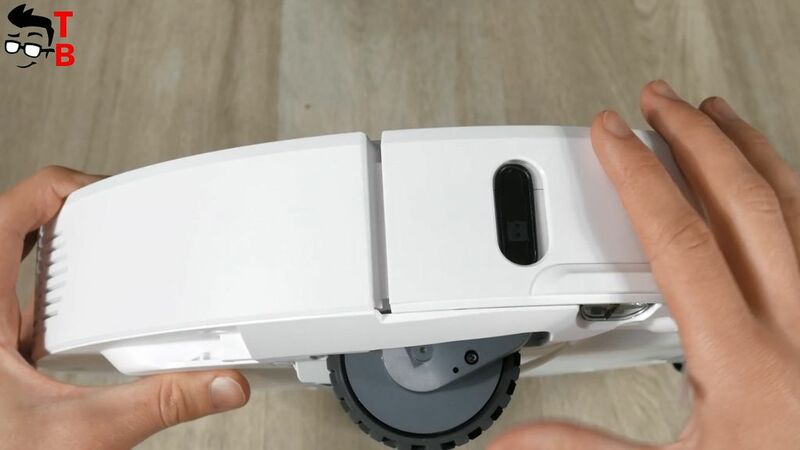 When the battery has a low battery level, the vacuum cleaner automatically returns to the charging station, and later again starts cleaning from the point where it left off. Just like the first generation, Roborock S50 is controlled via application on Android or iOS. The app is called MI Home. 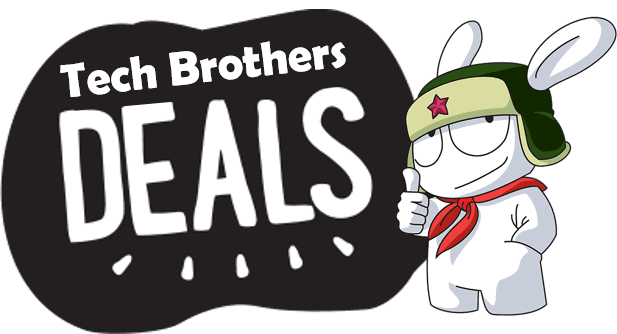 If you already have smart gadgets from Xiaomi, then this app is familiar to you. It allows to control IP cameras, lamps, smartwatches, and other gadgets from Xiaomi. Also you have to know that the app is available in English. Now, let’s look how to connect Roborock S50 to smartphone. First, you need to download HiHome app from Google Play Store or Apple AppStore. Then open it and log into your MI account. You can also create it from the app, if you don’t have MI account. Then tap the PLUS icon in the upper right corner and select Add Device. Here you can scan new device or add it manually. 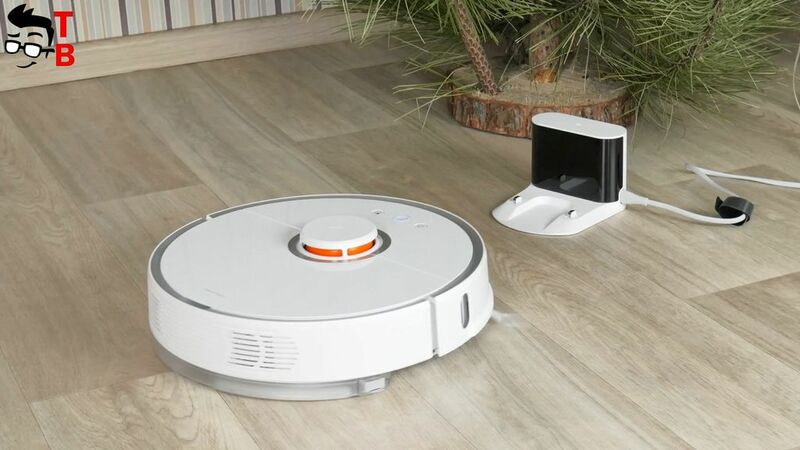 Roborock S50 vacuum cleaner is automatically detected if it is turned on. 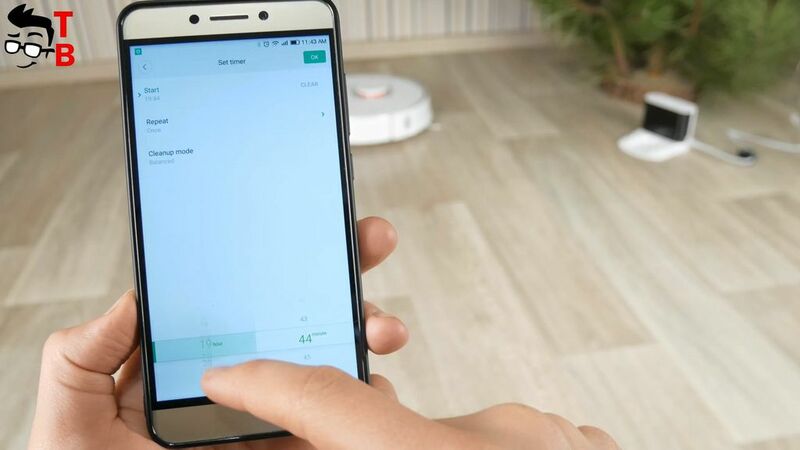 When Roborock S50 is connected, simply type it on the main screen, then Mi Home automatically downloads and installs the actual app for vacuum cleaner. 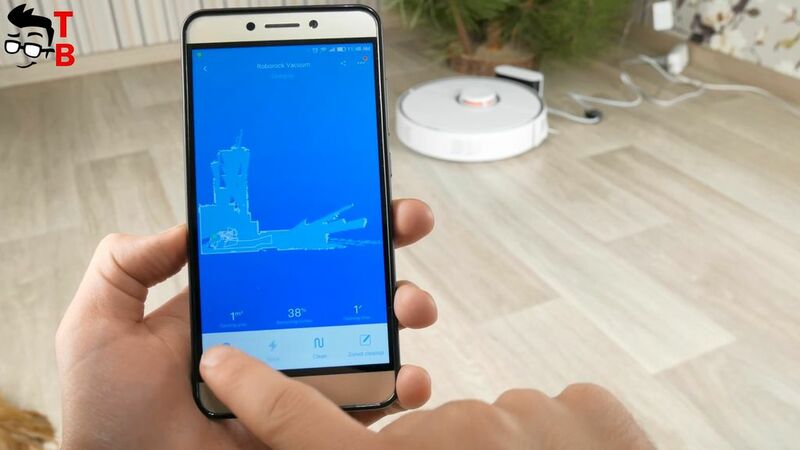 Mi Home app offers some interesting functions for Roborock S50 vacuum cleaner. First of all, settings menu provides such options as time zone, carpet mode, Do-not-disturb mode, and others. Also there is a timer or cleaning plan. You can setup the time for automatically cleaning. 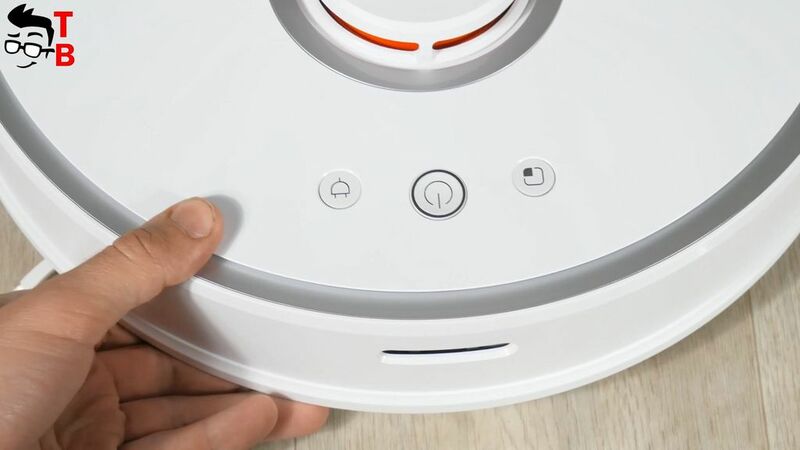 Roborock S50 vacuum cleaner has four cleanup modes. They are quit, balanced, turbo and max. By the way, you can download language packages for voice control. However, vacuum cleaner supports only English and Chinese voice control. Also there is cleaning history and Find My robot functions. I think that they do not need an explanation. Another very interesting feature is cleaning zones. You can specify the area where the vacuum cleaner should clean. 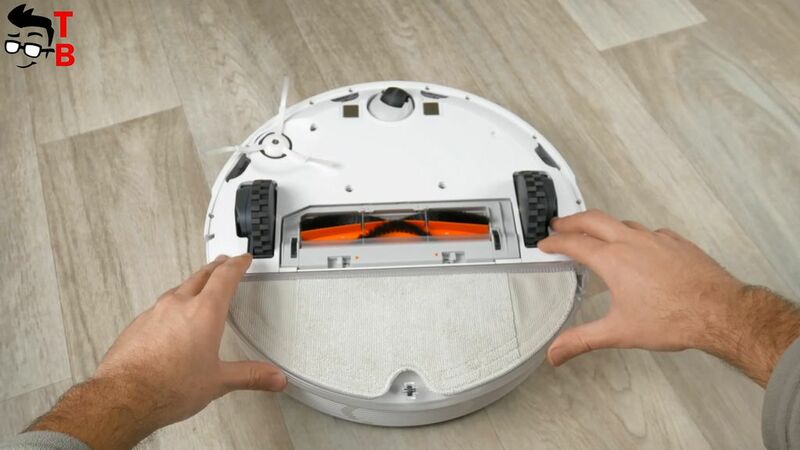 Another budget vacuum cleaners are needed special magnetic tapes to make a virtual wall, but Roborock S50 uses an app for this. The cleaning zones are created very simple, by zooming in, zooming out, and moving any frame. The area is displayed with exact information about the square meters. As you can see, smartphone app plays a very important role for Roborock S50. This is an interesting feature of Roborock S50 in comparison with other budget vacuum cleaners. 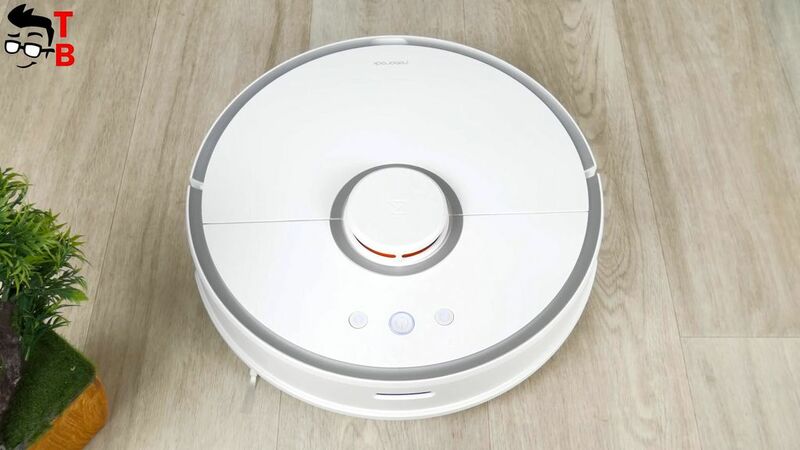 Roborock S50 looks very similar to previous generation Xiaomi Mi Robot Vacuum Cleaner, and it has some improvements. For example, new device has mopping function. I believe that the main drawback of the first generation was lack of this function. Now you can not only collect dry rubbish, but also wash the floors. The smartphone app is very useful. You can choose different cleaning modes, and cleaning zones. 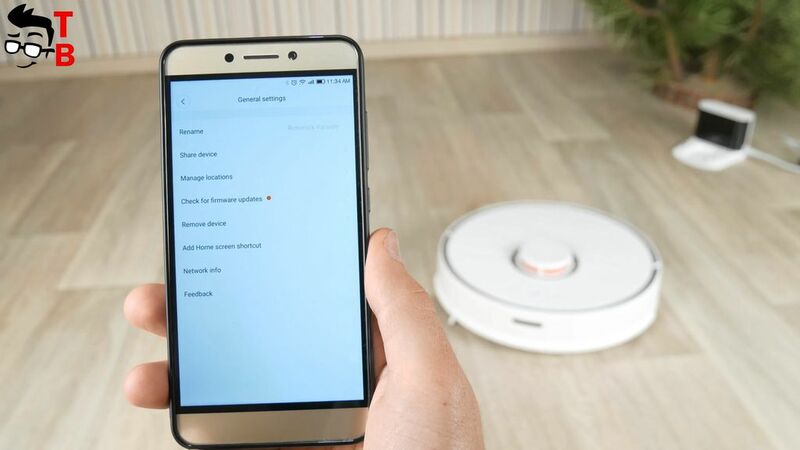 I have not seen a vacuum cleaner with such a set of functions as Xiaomi device. As for design, it is the same beautiful and high built quality. The first and second generations look very similar to each other, but they also have some little differences, for example, control button on the front panel. 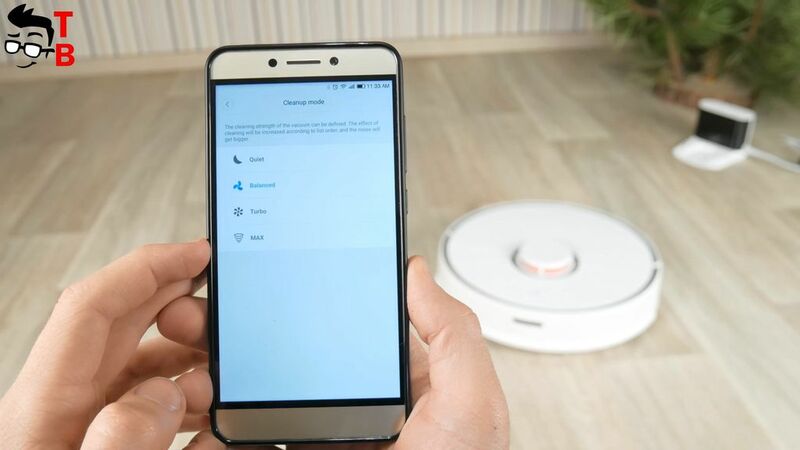 However, Roborock S50 is almost twice as expensive, than first generation – about $500, while Xiaomi Mi robot costs about $300. So, if you have a lot of smooth floors at home, and wet cleaning is really important for you, then you should buy Roborock S50. But if the main function for your vacuum cleaner is dry cleaning, then first generation will be good option. Interested in the Roborock but when I downloaded the MiHome app the Apple App Store only downloaded the Chinese version…no English. I am in Canada but the App Store should be the App Store. Also if I buy from you where are you located, how would I get parts,service or repair.